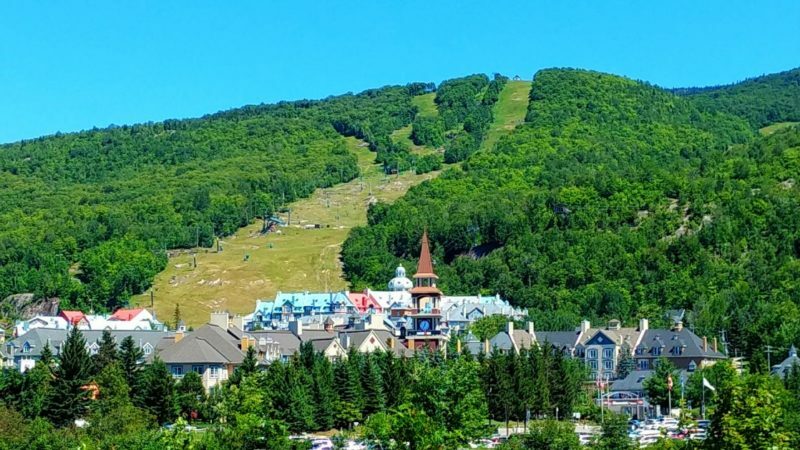 A year-round retreat for global travelers who have a taste for luxury and adventure, Mont-Tremblant is a thrillist’s gold mine. There are more activities to keep you and your kids busy than you could possibly fit into a single stay. 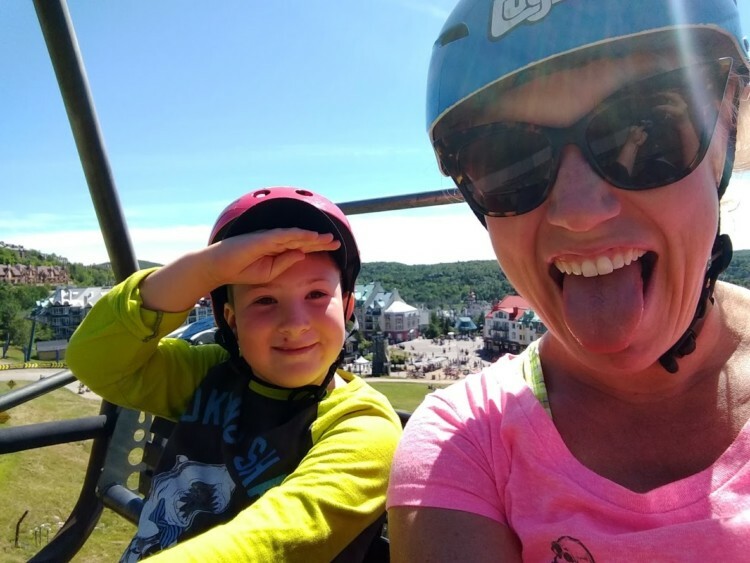 Indulgent TravelingMom Andrea Traynor gives the lowdown on the 9 best things to do in Mont-Tremblant this summer. We just returned from our eighth visit to Tremblant — our second during the summer months — and there is just so much to write about it’s hard to know where to start! 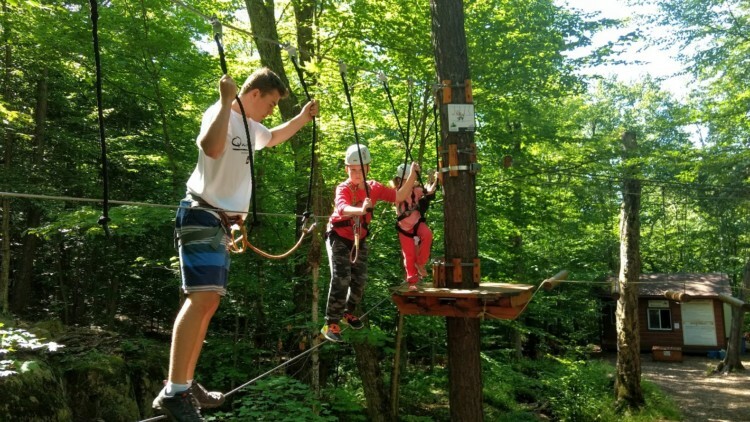 In addition to many of the activities I featured in an earlier post, here are the 9 best things to do in Mont-Tremblant this summer. Take a spin on the luge track. Go to the Beach & Tennis Club. 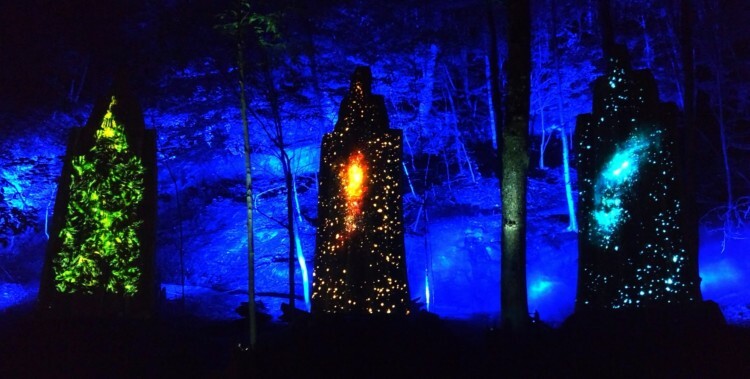 Tremblant’s newest attraction — a huge installation thanks to a partnership with Moment Factory — is reserved for night owls. If your kids are younger and have a hard time making it past sunset, do what we did and take a family nap in the late afternoon! We woke up just in time for dinner before setting off for the Flying Mile chair lift in the upper village (to the left of the gondola if you’re looking at the mountain). The first departure is at 9:30 p.m. but I recommend you get in line at 9 p.m. because this is a very popular attraction. First, accept a Bluetooth-enabled amulet and then board a chair lift. Sounds and music lead you halfway up the mountain in search of the giant that lives in the darkness. Now — this may sound spooky, but it’s not. My six and nine-year-olds were awe-inspired by the experience. In addition to truly outstanding displays of laser lights during the interactive 1.4-kilometre journey, it ends with inspirational messages about preserving the earth and respecting nature. Tonga Lumina runs until October and will be an annual summer attraction moving forward. 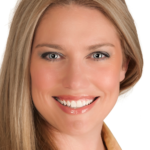 TravelingMom Tip: Make sure everyone’s been to the bathroom before you get in line. There is only one washroom once you reach the top, and it’s not until the very end of the trail. 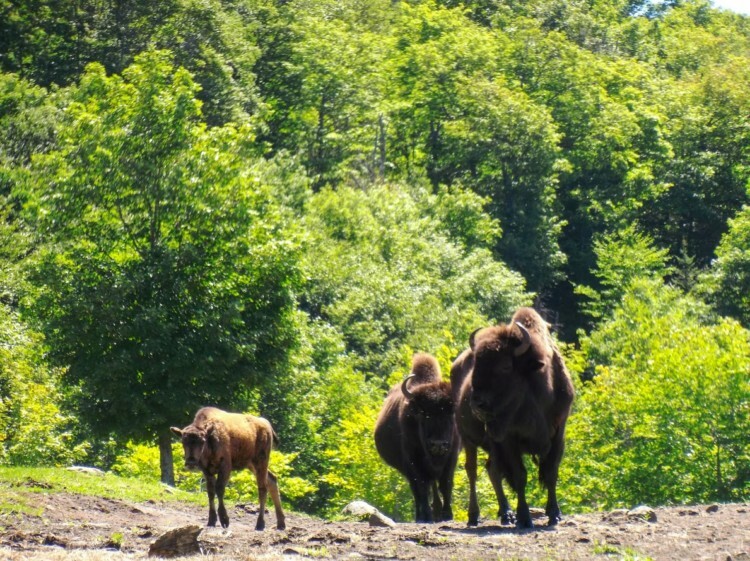 If you’re looking for adventure on the back of a horse, give the Bison Trail a whirl. It’s an hour-and-a-half trail ride done at a walk that passes beside a bison reserve. If you’re lucky, you’ll spot a couple. If you’re really lucky like I was, the entire herd will come greet your horses. 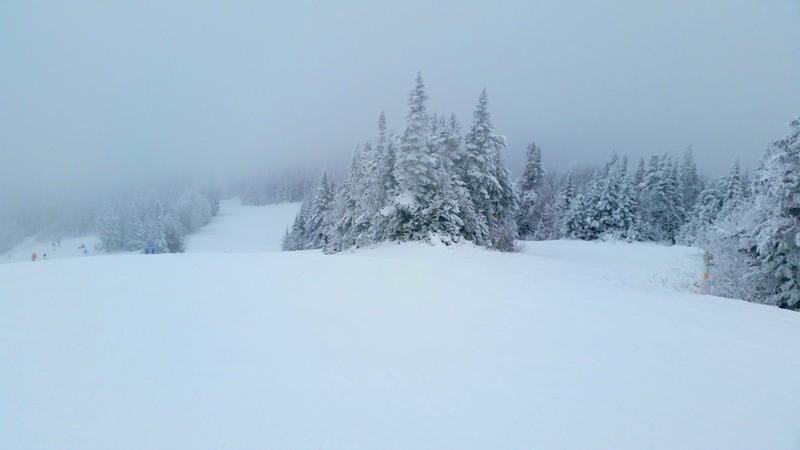 Book your ride at Tremblant.ca or through the Activity Centre in the upper village. Smaller kids will get a kick out of doing a pared-down version of the bigger course. They’ll get to don safety helmets and climbing gear, learn how to use their own belays and try crossing tightropes, cable bridges, climbing nets, tunnels and more. It’s not too high off the ground and even my usually nervous nine-year-old did really well. Older, more adventurous and independent kids — and grownups! — who want a serious challenge can tackle the main tree-to-tree course. Ziplines, rope walls, ladders, bridges and more will test your balance and nerves throughout the hour or two it takes to finish. If you’re pregnant, have a bad back, weak knees or ankles, or afraid of heights, this activity is not for you. You should be in good health and you’ll definitely need some physical strength for each obstacle. In the hottest months (July and August), you’ll really work up a sweat once you get going, too, so dress accordingly. You’ve gotta eat, right? And Tremblant is a great place to do it. There are too many restaurants to list here, but you can look through my handy Tremblant restaurant guide to figure out how to fill your bellies no matter where you are in the village. 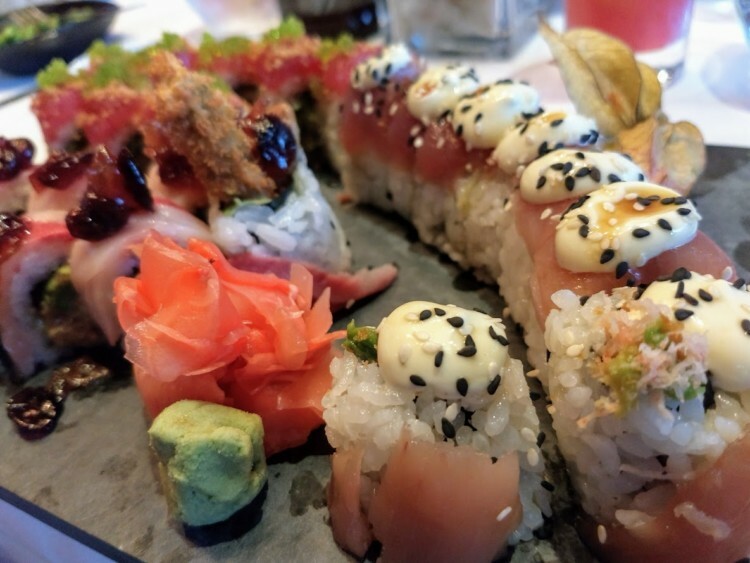 But if you love sushi like I love sushi, it’s worth the five-minute drive to Château Beauvallon just beyond the village perimeter. Prime Steak Sushi Bar makes the most inventive sushi I’ve had anywhere, and it’s so flavorful that you’ll surely toss the soy sauce aside. 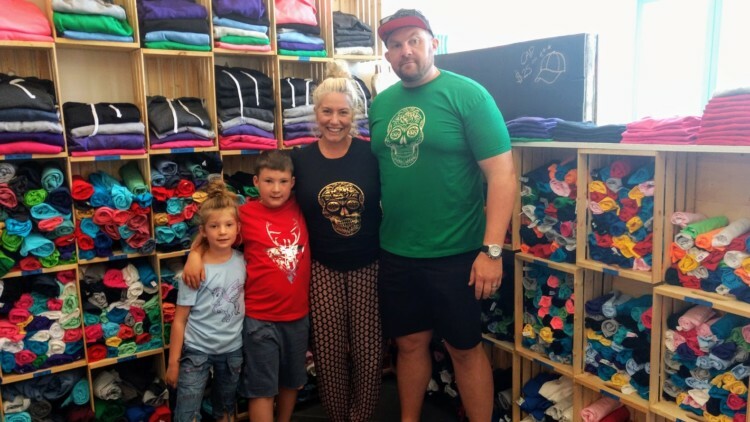 Should you find yourself with a rainy day on your hands, duck into T-Bar (in the upper village near the Au Grain de Café coffee shop) to design your own T-shirts. Select the image or phrase you want and pair it with the T-shirt size, style, and color you like best. Then pick your paint color. Note that the women’s and girls’ Ts are fitted so if you prefer a boxier cut, head to the men and boys’ section instead. It takes about an hour from start to finish and you can either stay and watch the process — which is pretty neat — or come back later in the day if the skies clear while you’re there. 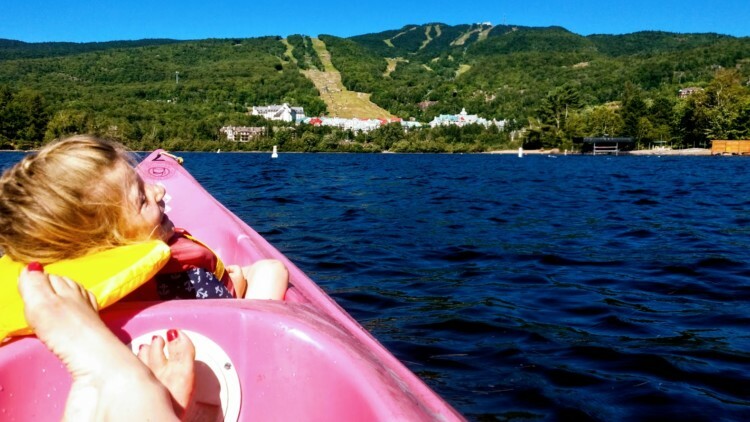 Like last year, this is still one of our favorite activities during summer in Tremblant. It starts with a ride on the chairlift — the same one that takes you to Tonga Lumina after dark. Then, hop in a luge, either by yourself or with your small kids who can fit into one with you, and race down the mountain on a winding course. It’s fast and fun, and the best way to do it over and over again without being punched in the wallet is to buy a multi-pass that lets you go down several times for less money than if you paid each turn. This was our first escape room experience. And it was awesome. I loved that we had to work together as a family to find clues and ultimately try to solve the mystery. This is a timed activity and no photos are allowed once you’re in your themed room. But if you escape within 30 minutes, your next game is free! We did the pirate room and came within one clue of escaping on time. And while it was tougher than I expected, all four of us absolutely loved it. 8. Beach & Tennis Club. Purchase an activity card in the village before heading down to Tremblant’s Beach & Tennis Club. You could easily spend the whole day here, and the activity card will ensure you have plenty to do (and eat) without paying a la carte price — including the private beach admission charge. From watersports like kayaking to inflatable icebergs to beach bar food and drinks, there’s no shortage of excitement down at the beach. You can take a free shuttle from the lower village or walk for about 10-minutes to get to the Beach & Tennis Club if you’d rather not drive yourself and avoid trying to find parking. It’s not unusual to see deer wandering around the lower village; they’ve grown up around tourists so few are afraid of humans. If you happen to have a carrot handy, one may even eat right out of your hand. 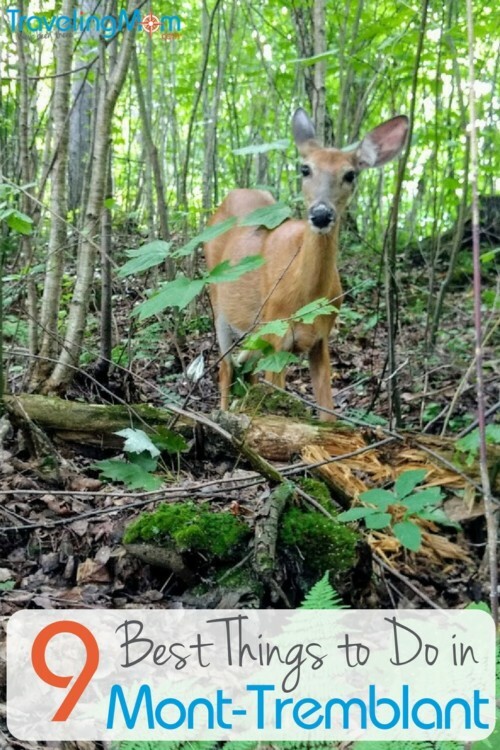 This beautiful deer came to welcome us as we were checking into Tremblant Les Eaux and is one of the biggest highlights of any of our Tremblant visits.